The Serafini Quartet provides artistic feature performances or an elegant background for any gathering. From classical works to popular hits, the Serafini Quartet adds a wonderful ambience to your special event. 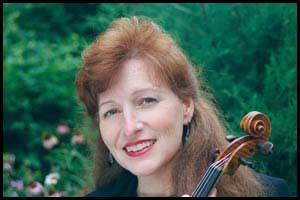 "Jesu, Joy of Mans Desiring"
Debbie is also available as a violin soloist for weddings or with a strolling violin duo.